Indian cricketer Mahendra Singh Dhoni has picked up a 25% stake in Chennai-based sports-tech startup Run Adam. As part of the deal, Dhoni has invested an undisclosed amount in the company and will serve as a mentor and brand ambassador, Run Adam co-founder K Yeragaselvan told VCCircle. Owned and operated by Run Adam Sports Pvt. Ltd, the platform integrates data, enables access and facilitates communication to bring together different stakeholders in the sports ecosystem under one roof. It primarily helps aspiring athletes connect with professionals, coaches, sponsors and other specialists. Additionally, the platform also aggregates sports associations, institutions, event creators, venue providers, teams and clubs, corporates and more on a single forum. Run Adam was founded by Yeragaselvan and Mothakaladharan Soundarapandian. The duo also run another sports venture named Golden Goose Sports. Yeragaselvan said Run Adam had raised a seed round of funding last year from a group of angel investors, but declined to divulge further details. He said the firm has been working closely with Dhoni for about a year now. 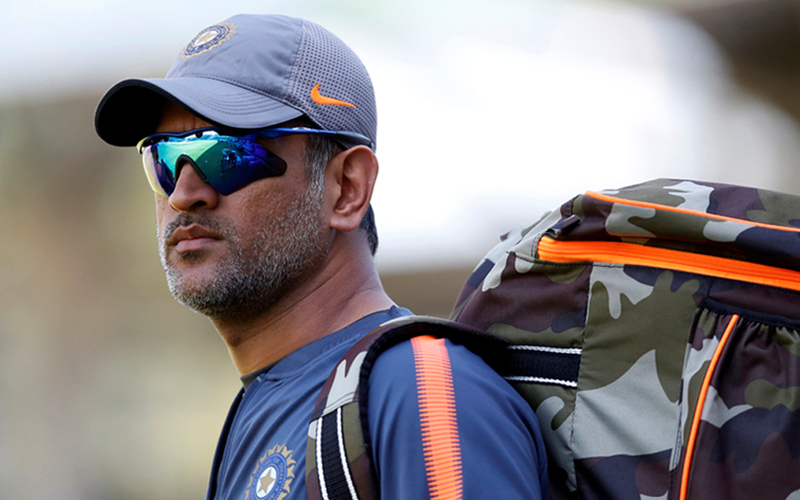 The capital from the seed round and Dhoni’s investment have been used primarily for developing the platform besides spending on user acquisition that involves sports event sponsorships, he added. Sports-tech startups in India have not attracted much interest from investors. Among the few that have raised funding include Khel Now, which received $500,000 (Rs 3.4 crore) from Bangkok-based investment firm Indochine International last year. Sports technology platform Athletto had secured angel investment in June 2016 from Atul Ingle, managing director at Nagpur-based Renuka Electricals & Controls Pvt. Ltd. In May 2016, another sports-tech platform, Play Your Sport, had raised pre-Series A funding from a bunch of investors led by Ashish Gupta, former chief operating officer at Evalueserve. In March 2016, sports discovery and booking platform GoSport raised $30,000 (Rs 20 lakh) in seed funding from Singapore-based angel investor Naveen Gupta. Other funded startups in the space include Sports365.in, SportzVillage, OyePlay, and Bookmysports. Meanwhile, Dhoni is not the first cricketer to invest in startups. Based on data gleaned from media reports and VCCEdge, the research arm of News Corp VCCircle, at least eight present and former cricketers have put money into startups and other companies. These include Virat Kohli, Umesh Yadav, Sachin Tendulkar, Sourav Ganguly, Yuvraj Singh. Yuvraj Singh has been actively investing through his fund, YouWeCan Ventures. YouWeCan’s portfolio companies include Startup Buddy Services Pvt. Ltd, a one-stop solution provider for early-stage businesses; co-working space provider Creator's Gurukul; online beauty services venture Vyomo (acquired by Naturals); logistics startup Moovo; healthcare startup Healthians;online marketplace for chartered jets JetSetGo; automotive service marketplace Cartisan and sports startup SportyBeans.